Keturah Collings was the married name of Keturah Anne Beedle, who was born in 1862 at Weston-super-Mare, Somerset [birth registered in the Axbridge district of Somerset (Weston-super-Mare) during the First Quarter of 1862 ; baptised at Holy Trinity Church, Weston-super-Mare on 13th February 1862]. Keturah was the daughter of William Henry Beedle (born c1831 Bristol - died 1907), an upholsterer and house furnisher, and his wife Eliza Williams (born 1833 Cowbridge, Glamorgan, Wales - died 1903). William Beedle's was a successful businessman. In 1881, William Beedle was employing 9 men in his upholstery firm and was served by at least two servants at the family home, a large house called "The Elms" on Arundell Road in Weston Super Mare. (In the 1880s the road name was spelt 'Arundell' and not 'Arundel' as in the Sussex town of that name). In a local trade directory of 1889, William Henry Beedle is listed as a house furnisher, a furniture van proprietor with his own house removal business, a furniture appraiser, an upholsterer and an undertaker. W. H. Beedle was also a house & estate agent, with business premises in the High Street and in Regent Street, Weston-super-Mare. William Beedle's furniture warehouse and furniture storerooms were located in Great Alfred Street in Weston-super- Mare. Keturah Anne Beedle was the eldest of five children. Her three brothers were Thomas William Beedle (born 1865, Weston-super-Mare), who became a house agent for his father, Alfred James Beedle (born c1869, Weston-super-Mare), who followed his father's trade and eventually worked in Toxteth, Liverpool as a furniture dealer's buyer, and Leonard Edward Beedle (born 1871, Weston-super-Mare), who later became a chemist and druggist in Stretford, Lancashire. 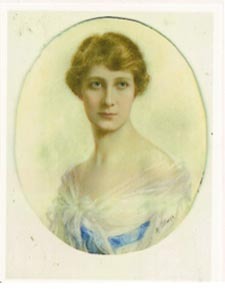 Keturah's younger sister, Charlotte Ellen Beedle (born 1866, Weston-super-Mare), went on to marry Clement Henry Reynolds, a bank cashier, in 1898. In 1887, Keturah married Arthur Albert Collings, a former bootmaker of Weston Super Mare [marriage registered in the Axbridge district of Somerset (Weston-super-Mare) during the December Quarter of 1887]. Both Keturah and Arthur had artistic talent and it is possible that they were brought together through their interest in art. The couple set up home in Brighton, Sussex. Arthur and Keturah's first home was at 59 Dyke Road, Brighton. In 1892, Keturah gave birth to their only son - Arthur Cyril Esmé Collings [birth registered in Brighton during the Fourth Quarter of 1892]. By 1899, Keturah Collings was living with her husband and eight year old son at 13 Alexandra Villas, Albert Road, Brighton. Presumably, Keturah Collings assisted her husband in his photographic portrait studios in Brighton and Hove in the late 1880s and early 1890s. Around 1905, Mrs Keturah Collings established her own fashionable photographic studio at 16 North Audley Street in West London. Keturah Collings' London studio was favoured by a number of European Royal Families. 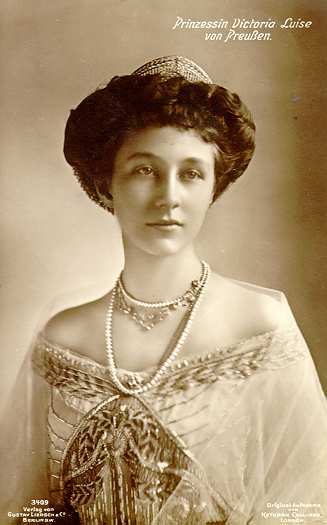 Her distinguished sitters included Albert, King of the Belgians (1875-1934), his wife Queen Elisabeth (1876-1965), Crown Prince Leopold of Belgium (1901-1983), Princess Marie-José of Belgium (1906-2001), Princess Victoria Louise of Prussia (1892- 1980), and Prince Hubertus Karl Wilhelm of Prussia (1909-1950). 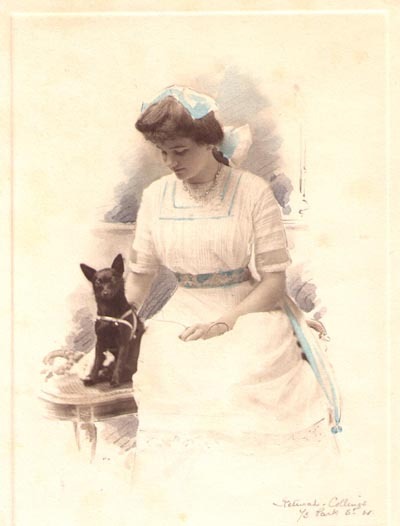 A number of Keturah Collings' portraits of members of the Prussian Imperial Family were issued as picture postcards in Germany by Gustav Liersch of Berlin before the outbreak of the First World War. Keturah Collings also photographed members of the British aristocracy, including Sir John Lubbock, Lord Avebury (1834-1913) and Pamela Genevieve Tennant, Lady Glenconner (1871-1928). [ABOVE] A portrait of Mrs Constance Mary Elliott, photographed by Keturah Collings at her fashionable London studio at 16 North Audley Street, West London. The date of "1900", inked on the mount under the portrait, is in error. [ABOVE] A watercolour portrait of an unknown army officer by Keturah Collings (c1919). Keturah's own son, Arthur Cyril Esmé Collings (born 1892) served in the First World War and rose to the rank of Second Lieutenant. [ABOVE] A miniature portrait of Mrs Christina Alderton by Keturah Collings. The subject of this portrait was the wife of Samuel Alderton, a prosperous Merchant Tailor, a London City Councillor and Deputy Lieutenant of the County of Kent. Keturah Collings, opened her studio at 16 North Audley Street around 1905 and is listed at this address in London trade directories until at least 1908. A few years later, Keturah Collings was living at 73 Park Street, near Grosvenor Square. By 1914, Keturah Collings had established a photographic studio at 7 Lower Seymour Street, W. London and she was listed as a photographer at this address in the Post Office London Directory published in 1915.There is evidence that by the end of 1915, Keturah Collings was working from her home address at 73 Park Street, London. From 1913, around the time she closed her studio at 16 North Audley Street, Keturah Collings began to make a living as a portrait painter as well as a photographic artist. The Post Office London Directory of 1915 lists Keturah Collings as a professional photographer at 7 Lower Seymour Street, West London, but during and immediately after the First World War, Keturah painted small watercolour portraits of military officers (see above). The people who commissioned portraits from Keturah Collings generally came from the upper strata of society. 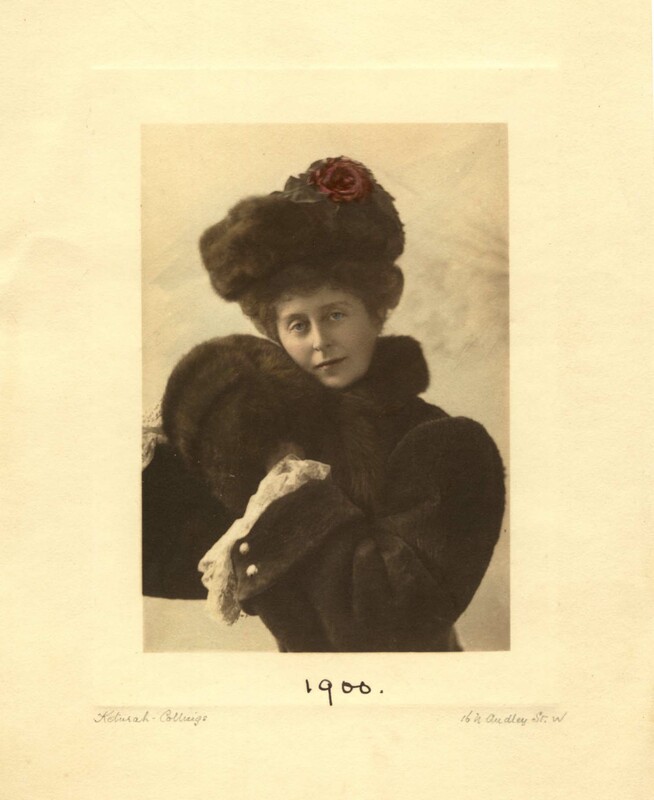 Keturah Collings closed her photographic studio in North Audley Street around 1913. After this date, Keturah Collings applied her artistic talents to painting small portraits in watercolours (see above). Surprisingly, there is evidence that Keturah Collings was still involved in portrait photography at the time of the Second World War. A studio portrait of Pilot Officer Bruce McAllister of the Royal New Zealand Air Force, photographed by Keturah Collings of London, is held in the archives of North Invercargill Church, New Zealand. Pilot Officer Bruce McAllister died on 28th June 1942 at the age of 23. [ABOVE] The signature of Keturah Collings from the portrait of Miss Winefride Lyne-Stephens (see right), produced at Mrs Collings' London address.